Hello everyone. I've been busy working on the next phase of my business so I haven't been posting much. I started a mastermind study class this week in my town and it's going great so far. Here is another one I will be facilitating virtually and I would like to invite you. 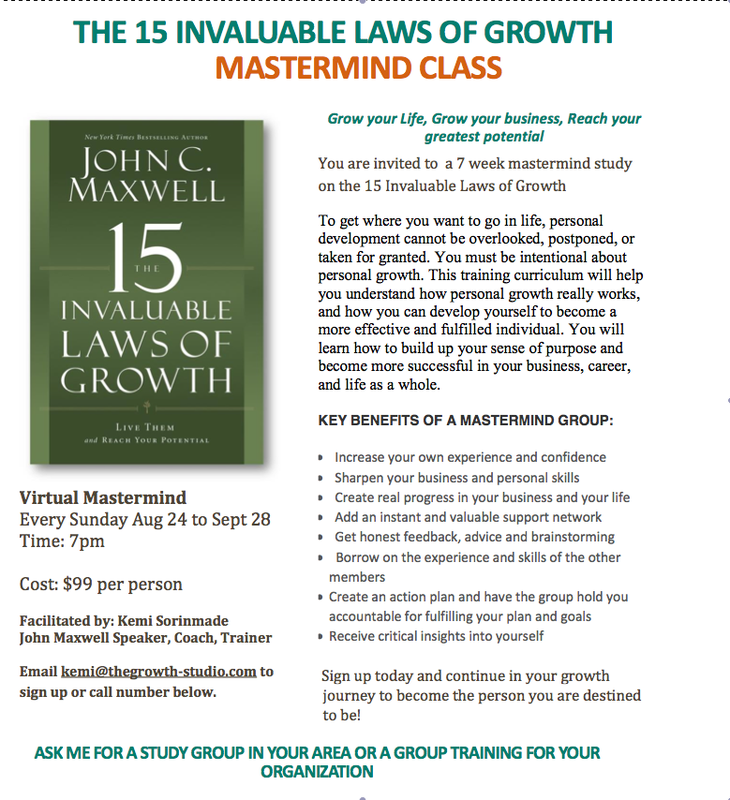 This is open to anyone who wants to move to the next level, grow their business or become more effective as an individual. Beyond all the technicalities, marketing and advertizing that are necessary to grow a business, growing as an individual helps you ultimately reach your greatest potential.